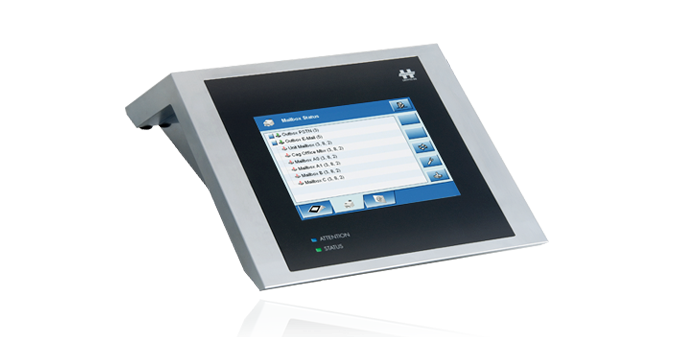 Crypto Desktop HC-9300 is the ultimate in encryption platforms for modern offices. Customised security applications deliver maximum security for voice communication, fax transmissions and computers. Modern offices are fitted with phones and computers, scanners, printers and fax machines. Nonetheless, confidentiality, authenticity and integrity are generally not protected. Crypto AG closes this security gap with a modern platform consisting of multiple applications that fully protect voice communication, fax transmissions and computers. The HC-9300 is based on the seamlessly integrated security architecture from Crypto AG that has already proved its effectiveness in thousands of cases. Maximum security is therefore ensured for all its applications and security management procedures. The actual encryption is performed in a separate hardware module. The encryption process is based exclusively on symmetric and secret algorithms profiled by your security manager. Multiple keys can be defined in the system, allowing hierarchically arranged user groups to be set up. Access to the platform is protected with passwords and identity-based user accounts to deliver maximum security. All users are granted individual rights in keeping with their responsibilities and security clearance. Crypto Desktop HC-9300 also satisfies the highest requirements when it comes to electromagnetic emissions (COMPREM). Your valuable information is safe from being released to outside parties. The platform is simple to operate thanks to a colour touch screen with intuitive graphical user interface. The HC-9300 platform can be upgraded with the addition of future applications and new functions. That means your investment is secure for the long term.